Alabama DUI: How Much Does a DUI Cost Over Ten Years? The ten-year cost to a waiter or waitress with no college plans, or a landscaper whose clean criminal record is not a factor affecting his or her future wages or job retention may decide to not even fight a DUI. Putting a permanent DUI in his or her criminal history may make little impact on that driver, over the next ten years. In one recent example of how drastic the financial impact of brainless violations of the law can impact a professional athlete, read how one NFL lineman lost $10 million for merely using Twitter to reveal that he violated the marijuana laws. However, a high-ranking business executive with future CEO potential, a physician, dentist, teacher or professional actor or athlete whose employability and future earnings hang in the balance MUST do everything possible (including hiring the best DUI lawyer possible) to find a way to save his or her job, and future employment opportunities. Using the Stress of DUI Continuum above, when comparing a low-paying, low-responsibility job (Level 1 above) is like comparing the cost of a donut to a tractor-trailer tire (a Level 10 job), when the devastating, multi-million dollar impact to a CEO, a politician or a highly successful college athlete who is a sure first-round draft pick is compared. The cost of a DUI conviction in different states will vary, based on multiple factors, starting with whether this is a first offense DUI. Then, inquiry must be made about whether the state where the DUI-DWI arrest was made has an applicable expungement law, diversion alternative, a first offender law or youthful offender statute to give a non-DUI alternative. States like Georgia have neither a youthful offender nor a first offender alternative. States like Mississippi, Maryland and Illinois have such laws. Alabama has both a possible youthful offender and a first DUI offense statute that MAY assist some people facing an Alabama DUI. In many states (including DUI in Alabama) the type of DUI charge (alcohol or drugs) can result is a harsher punishment or loss of driving privileges. Many state legislatures have boosted the minimum mandatory punishment for DWI-DUI drugs, so that the total loss of driving privileges that may occur in a DUI drugs case will far exceed a DUI-alcohol case. One state that offers DUI first offense driver an expunction is West Virginia, but denies the favorable record restriction, if the driver either refused to be tested, or gets convicted of DUI drugs. Similarly, a first DUI offense in GA, for alcohol, allows any driver over 21 to get an immediate work permit, but a DUI-drugs conviction, 1st offense, causes a total suspension for 6 months. DUI refusal is treated very harshly in other states, too. If a person licensed in Wisconsin is arrested for DUI-DWI in WI (it is called OWI in Wisconsin) or any other state, and has refused the post-arrest, implied consent test (e.g., an official breathalyzer test requested by police following a person’s arrest for drunk driving). If that DUI case later results in a DWI-DUI conviction, that Wisconsin licensed driver cannot get ANY driving privilege in WI for a full year. The same result applies in North Carolina, even if the person wins his or her DWI NC case. So, no interlock restricted driving privileges are available in these states. These mandatory guidelines (for drivers facing total driver license loss) point out the extreme value of hiring the best Alabama DUI attorney who knows how to beta a DUI refusal. So, due to a wide range of DUI consequences in various states, the impact in one state (particularly for repeat drunk driving convictions) cannot be compared to cost of a DUI conviction in other states, since more state-specific information is needed to determine the final legal and employment cost. Many states have added a mandatory interlock that can be required to remain installed for over a decade (i.e., New Jersey), for repeat offenders, plus for as early as a 3rd DUI in a person’s lifetime, or 4th DUI conviction, the driver is barred from ever driving again. Michigan, Florida and other states have such “lifetime” driving bans, as part of their DUI laws, so an interlock such as the 11-year interlock in NJ for a conviction in a third DWI offense, sounds pretty good, after a total suspension of 10 years has been in place. Beyond the frightening factors and variables described above, more justifications exist for seeking a DUI defense lawyer with impeccable, unmatched success over many years, and a reputation for knowing how to beat a DUI. Read over Alabama attorney ratings and prior client reviews, but look at the four best, independent legal industry lawyer ratings, to see if he or she has achieved global recognition for being the best DUI attorney (in your State). This next segment (in red font) about limiting your drunk driving attorney search to the top-levels attorneys was written by the best DUI lawyer in Georgia, Bubba Head, and applies equally to DUI in AL. 1. Some states (like Maryland and Mississippi) offer certain first offense DUI driver diversions, deferrals, first offender act, expungement, probation before judgment, record restriction, or other alternatives to a first-time DUI offender. Other states, like Georgia, do not. 2. Each state’s legislature decides how long car insurance companies can upcharge you for your bad driving history from a DUI case. States like California and South Carolina (which has an integrated auto insurance system tied to a DUI drivers’ license) are lengthy and punitive, while other states (e.g., GA) limit the higher rate to three years. Other states, like California allow exorbitant car insurance costs for much longer. 3. Over half the states, like Tennessee, now require a mandatory ignition interlock on every DWI-DUI offense, including first offense DUI. The time period for installation and maintenance of the required ignition interlock device installation and monthly monitoring and maintenance expense commonly lasts for a year or more, before you can obtain license reinstatement or obtain a work permit or restricted license. The duration of interlock installation for repeat offenders can last 10 years (New Jersey) for repeat DUI offenders, meaning a cost of $30,000 to $40,000. 4. Many states impose a lifetime ban on obtaining a driver’s license after a third DUI offense (Michigan), 4th DUI (Florida), or reaching some level of having a recidivist drunk driving criminal record. This can mean that the cost of DUI can be in the hundreds of thousands of dollars, if not millions of dollars in lost opportunity cost. Once listed as a banned driver, other states will not issue you a driver’s license. Few people can afford UBER or LYFT for the remainder of their life, and with the exception of a few dozen major American cities, adequate public transportation alternatives do not exist. 5. DUI-OVI conviction is one of the most punitive aspects of any DWI-DUI conviction. Employers like Sprint ban hiring anyone with a DUI, and certain highly valuable types of high security employment proscribe anyone with a DUI from meeting high security clearance background checks. Easily, the differential between the higher paying jobs and “leftover” positions can run into millions of dollars for a person with a lifetime criminal history from a DUI conviction, since many states have no method of expunction or record restriction in their state DUI laws (e.g., Georgia). 6. Prosecutors do not like to lose cases. They also share information on attorneys, and know which criminal defense attorneys are “pleaders” are and which ones are “fighters.” If the prosecutor assigned to your case has no fear of the trial skills and the impressive jury trial victories of your chosen DUI attorney, don’t expect to see your DUI reduced to reckless driving (in states that don’t prohibit such reductions, like Oregon and North Carolina). Like all business transactions and even every fist fight, knowing that you will likely lose is a great motivator to “make a deal” and not fight. 7. When you have identified your court’s best DUI lawyer, he or she will be discussing how your drunk driving case can be won (or, in states with favorable first DUI offense alternatives, to restrict criminal records) the steps that will be mandated for you to be eligible. Because many states have repealed DUI first offense plea alternatives with some helpful driver’s license concessions (e.g., Georgia DUI nolo contendere plea, and nolo contendere in North Carolina), you may have to hire the best DUI attorney in your State one even a first offense DUI. To our Alabama DUI law firm clients, getting a DUI dismissed, expunged or diverted is their objective. For many, even if a trial is needed, hiring the best attorney to beat a DUI is the only alternative. Our clients do not ask us, “How much is the FINE for a DUI conviction?” They want to know their chances of winning their DUI in AL by hiring our Birmingham attorneys, and how we would go about accomplishing it in their DUI court. Need to hire an Alabama DUI lawyer with Top Credentials? 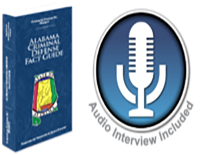 Call our Birmingham criminal defense lawyers to find your Alabama DUI Attorney. You only have 10 DAYS to protect your right to drive in Alabama, flowing a DUI arrest. Our FREE professional criminal case assessment is worth your time and energy. If winning your AL DUI is your objective, call our Alabama DUI law firm today. CALL NOW! We are 24/7 attorneys, and want to speak to you as soon as possible. Call us now for immediate legal help, at (205) 871-8838. ON WEEKENDS or AFTER BUSINESS HOURS, try: 24-hour Lawyers at (205) 222-4544. The Polson Law Firm is a proven leader in Alabama for successful DUI defenses. 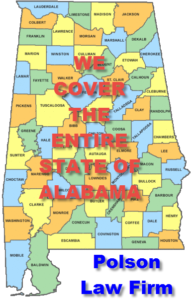 Speak with a Birmingham DUI attorney, who travels the State of Alabama, and is a DUI specialist on Alabama DUI laws. 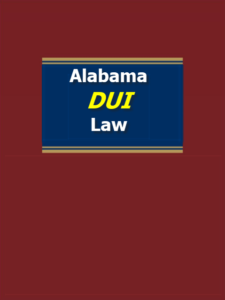 Whitney Polson wrote the book on various aspects of Alabama DUI law, so why call an average DUI lawyer? Whitney Polson or Mark Polson will review the DUI case facts, the likelihood of getting your DUI reduced to reckless driving, as well as the chance of having the DUI dismissed for a first offense DUI.